AFL Fantasy gurus Roy, Calvin and Warnie make their way to Adelaide for a weekend of footy, froffs and of course, Fantasy! 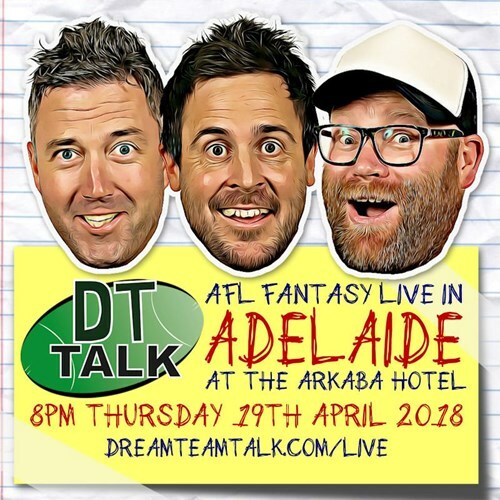 The DT Talk boys be presenting a special live show on Thursday night jam packed with Fantasy footy talk for the round ahead, some stories, special guests and a heap of fun... who knows what surprises are in store! Tickets $20+booking fee includes a stubby holder on entry. If you’re into fantasy footy, then this is the event you need to get to for what will be a massive 2018 season.